The Campanile Hotel & Restaurant Amiens Centre – Gare, a refurbished 3-star New Generation hotel, wishes you a warm welcome. The new hotel was opened in March 2012 and is located right in the centre of Amiens, next to the railway station and the pedestrianised shopping area, a 5-minute walk from the Old Quarter of Saint Leu. The Campanile Hotel in the centre of Amiens is perfect for business guests and tourists alike, just 5 minutes from the magnificent Gothic cathedral – a UNESCO World Heritage site – the 'floating gardens' of the Hortillonnages and the house of Jules Verne. Amiens is also a good starting point for a trip to the Bay of the Somme and various First World War memorial sites such as the Australian Memorial at Villers-Bretonneux and the Museum of the Great War. 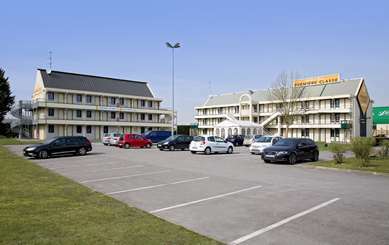 The Campanile Hotel & Restaurant Amiens Centre – Gare has 109 air-conditioned rooms with free WiFi. The restaurant at the Campanile Hotel Amiens Centre – Gare has large bay windows and seats 75, tables are also available on the terrace in good weather. There is a comfortable lounge area open from 07:00 to 23:30 which is ideal for meeting business colleagues or friends. There is a menu available outside restaurant opening hours with options to suit all tastes. If you are holding a meeting in Amiens, the hotel has a 60m² meeting room which will accommodate 22 people in a U-shaped seating arrangement or 45 theatre-style. The room has large bay windows and is equipped with a video projector and screen. We can provide a day rate package or a tailor-made service. Reception is open 24 hours a day, and the restaurant is open 7 days a week. There is a public car park near the hotel and a multi-screen cinema complex 150m away. We have 109 rooms over 6 floors, with either queen-size double beds or twin beds, and walk-in shower or bath. We have 10 interconnecting rooms for families. All our rooms have air conditioning and are furnished with top quality bedding, WiFi access, tea and coffee-making facilities, a flat-screen TV and a bathroom with hairdryer. We have 5 double rooms that are accessible to guests with impaired mobility. We are also equipped to welcome guests with visual or hearing impairments. From 6.30 am to 9 am, you can stock up on vitamins with our all-you-can-eat buffet, including tea, coffee, fresh fruit juice, cereals, pastries, eggs, cold meats, yoghurts and, of course, our fruit salad. For lunch and dinner, Le Restaurant Campanile satisfies all appetites with its à la carte dishes, set menus and sweet and savoury gourmet buffets. Our lounge area and cafe is ideal for business meetings or relaxation. It is open from 7 am to 11 pm and offers a menu of imaginative, tasty dishes you can enjoy at any time. From Paris or Lille via A29 : exit Jules Verne. Follow sign to Longueau then city center. After the train station turn first on the right. From Calais or Boulogne via A16 : exit 19. Follow the city center then train station. Follow road signs for Campanile. 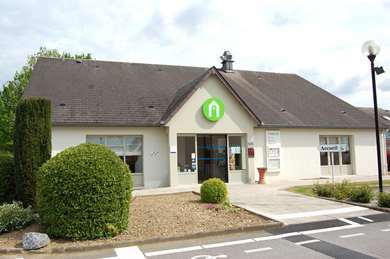 From Paris or Rouen via A16 : follow Amiens city center then the train station. Follow road signs for Campanile. From the exit DURY, take city center then train station. Follow road signs for Campanile.